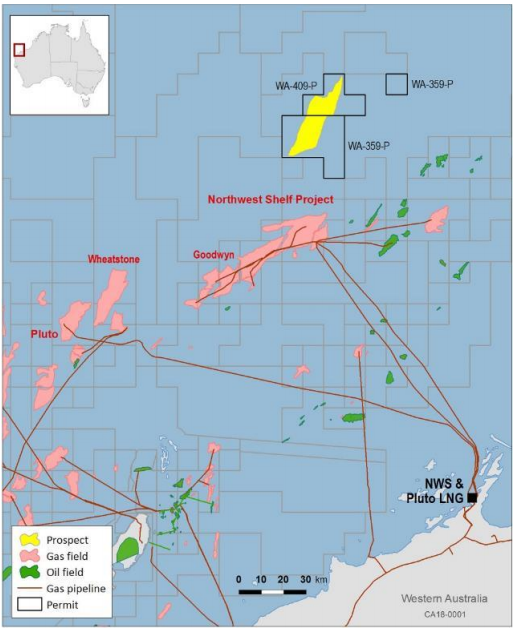 The Bonaparte Basin is located mostly offshore in far north-eastern parts of Western Australia and the western Northern Territory. The basin covers a very large area of 440,000 km2 with only about 5% of this area being onshore. 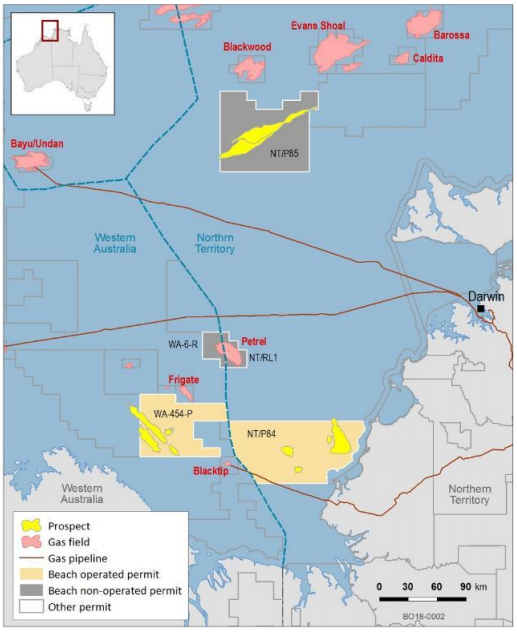 The Bonaparte Basin continues to yield new oil and gas discoveries with operators continuing to undertake active exploration, appraisal and development programs. The Carnarvon Basin is an epicratonic, faulted and folded Phanerozoic basin which encompasses over 1000km of the west and northwest coast of Western Australia, from Geraldton to north of Port Headland. The onshore part of the Carnarvon Basin covers about 115 000km2 and the offshore part covers approximately 535 000km2 with water depths up to 3500 metres. The basin is elongated northeast-southwest, is transitional southwards into the Perth Basin and northeastwards into the Offshore Canning and Roebuck basins. The Canterbury Basin is located both onshore and offshore along the eastern coast of New Zealand’s South Island. It extends eastwards into the deep water of the Bounty Trough, to the south is the Great South Basin, and to the north it is bounded by the Chatham Rise. 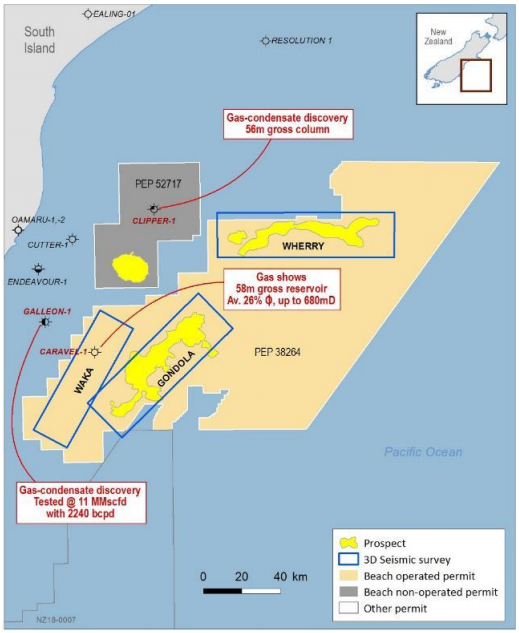 Early exploration commenced in the onshore Canterbury Basin in 1941, whilst the first well drilled offshore was Endeavour-1 in 1970. Only five other wells have been drilled since 1970 in the offshore Canterbury, with Clipper-1 and Galleon-1 resulting in sub-commercial discoveries of condensate rich gas in 1984 and 1985 respectively.